WASHINGTON, DC, January 6, 2010 (ENS) – Although many shark species are still at risk of extinction, around the world shark conservation advanced last year. In Washington on Tuesday, President Barack Obama signed into law the Shark Conservation Act of 2010, which increases protection for sharks from the practice of shark finning, by which fishermen cut the fins off sharks and throw them back into the sea to die. 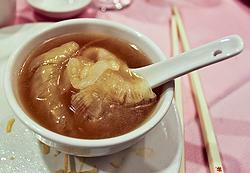 Many vessels target sharks for their fins, prized as an ingredient in shark fin soup. The new law will close a loophole in the Shark Finning Prohibition Act of 2000 that allowed vessels to transport fins obtained illegally, as long as the sharks were not finned aboard that vessel. The Shark Conservation Act, introduced by Representatives Madeleine Bordallo of Guam, Eni Faleomavaega of American Samoa, and Senator John Kerry of Massachusetts, all Democrats, requires that sharks be landed with their fins still naturally attached, the only sure way to enforce a ban on finning. “Shark finning has fueled massive population declines and irreversible disruption of our oceans,” said Senator Kerry. In July 2008, the National Oceanic and Atmospheric Administration began requiring that sharks be landed with their fins attached, but these regulations applied only to U.S. fisheries in the Atlantic, Caribbean, and Gulf of Mexico, not the Pacific Ocean. The new law extends that rule to the Pacific. Another section of the new law amends the High Seas Driftnet Fishing Moratorium Protection Act to direct the Secretary of Commerce to urge international fishery management organizations of which the United States is a member to adopt shark conservation measures, including measures to prohibit removal of shark fins, and discard of the shark carcass at sea. It requires the secretary to seek to enter into international shark conservation agreements that are comparable to those of the United States. The secretary must also list a nation in the biennial report on international compliance if the nation’s fishing vessels catch sharks in waters beyond their jurisdiction if that nation has not adopted shark conservation rules, including fin removal and carcass disposal prohibitions. Conservation groups such as Humane Society International, the Humane Society of the United States and the Pew Environment Group applauded the new legislation. In May 2010, then Hawaii Governor Linda Lingle signed the nation’s first shark protection bill into law. 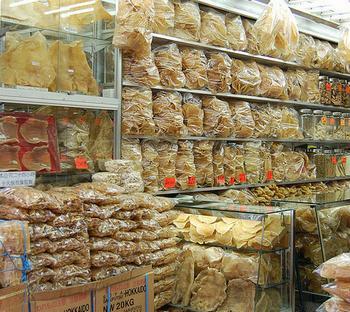 As of July 1, 2010 it became illegal to possess or sell shark fins in the state. Under the new Hawaii law, vessels that could once transfer, trans-ship and store tons of fins in Hawaii can no longer do so. The only exemptions in the new law apply to shark research and educational institutions holding permits issued by the Hawaii Department of Land and Natural Resources. Elsewhere around the world, shark conservation was also upheld and extended. In February 2010, a landmark agreement to protect shark species threatened with extinction was reached as 113 countries signed up to a United Nations-backed wildlife treaty to conserve migratory sharks. Government representatives signed the shark protection agreement in Manila at a meeting of the Convention on the Conservation of Migratory Species of Wild Animals. They agreed to include seven shark species in the agreement – the great white, basking, whale, porbeagle, spiny dogfish, shortfin and longfin mako sharks. In November, the Regent of Raja Ampat, Indonesia declared a Shark Sanctuary for the entire 17,760 square miles of the Raja Ampat archipelago. These 1,500 small islands, cays and shoals surrounding the four main islands also contains Cenderawasih Bay, the largest marine national park in Indonesia. According to Conservation International, marine surveys suggest that the marine life diversity in the Raja Ampat area is the highest recorded on Earth. 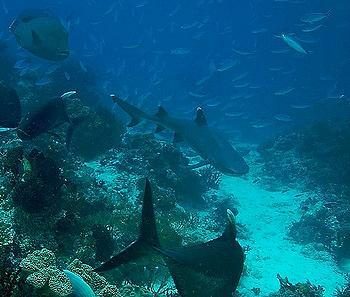 Within Raja Ampat, also in November, the Misool Eco Resort created a 468 square mile (1,220 sq km) Marine Conservation Area, where shark finning is prohibited. The new MCA will serve as a model for enforcement through community engagement. “Misool Eco Resort is defining how effective ocean conservation gets done with their Marine Conservation Area,” said Michael Skoletsky, executive director of Shark Savers, an international shark conservation organization. The newly protected area nearly tripled Misool Eco Resort’s No-Take Zone, established in 2005, extending it to include an adjoining archipelago of islands called Daram. In December, the Commonwealth of the Northern Mariana Islands’ Senate voted to outlaw the shark fin trade. The bill outlawing shark fin trading in this Pacific island nation must still be reconciled with a different version approved by the CNMI House before it is signed into law by Governor Benigno Fitial. It has been just over a year since the Pacific island nation of Palau declared the waters within its exclusive economic zone to be a shark sanctuary, banning shark fishing over a 630,000 sq km area. Palau’s President Johnson Toribiong has brought the sharks’ perilous situation to the attention of other governments at the United Nations, trying to persuade them that sharks have greater value as tourist attractions than for their fins. While sharks did gain some measures of protection in 2010, in March, 175 governments ended their Conference of Pparties to the Convention on International Trade in Endangered Species, CITES, without approving any of the proposed shark protection measures. Opposition by Japan, China and their allies defeated every proposal to give CITES protection to lucrative marine species including hammerhead sharks, whitetip sharks, porbeagle sharks, and spiny dogfish sharks. Sharks are particularly vulnerable to overfishing because they grow slowly and can live as long as 100 years. 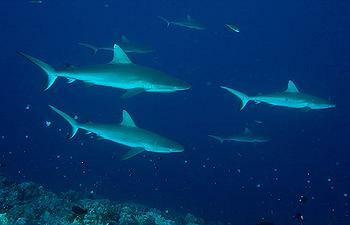 Their relatively low reproductive rates give sharks little chance to recover if they are overfished. According to the 2010 IUCN Red List of Threatened Species, 17 percent of world’s 1,044 shark species are threatened with extinction. Currently, human knowledge of about 47 percent of shark species is too limited to even assess whether or not they are threatened. While many shark species are threatened with extinction due to human activities, sharks can still be dangerous to humans. 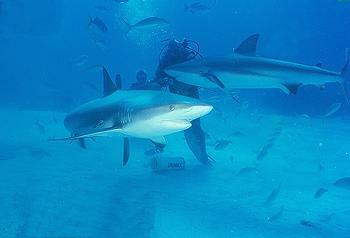 Worldwide in 2010, there were 96 shark attacks – 11 of them resulted in fatalities.